Cast - Matt Damon, Jodie Foster, Sharito Copley, Alice Braga etc. Being in reality we think of fiction having imaginary aspects from multiple minds of virtual world. The rumor of world ends in 2012 was viral past. We have reached to advanced world from the antique world making ourselves more and more technological as robots rather than human beings. 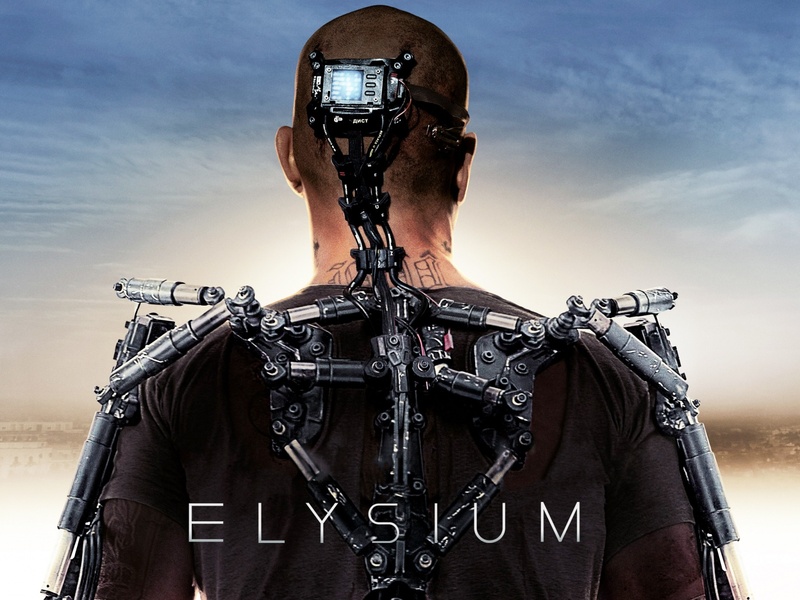 And one such science fiction material is brought by the director Neill Blomkamp in the name of happiest place called as Elysium above the Earth. Keeping in mind today's environmental and political conditions the hypothetical way of story starts in the year 2154 where The Earth is annihilated with disease, over population and pollution. That's where this cosmic place called Elysium comes into factor with all the affluent people living in the Elysium. Max(Matt Damon) an ex larcenist(thief) lives in suburbs of Los Angeles who works for the Elysium factory which models the robots and maintains the Elysium on Earth. On the other side there comes Defense Secretary Jessica(Jodie Foster) who works in the Elysium to protect and lavish the lives of the wealthy people from the poverty stricken Earth. Due to some circumstances and radio activity effects in factory Max is going to die in few days. With the help of Spider(Wagner Moura) Max wants to reach to Elysium to make legal citizenship and diseased free process as grant to every person on Earth. Though this one is a science fiction of the virtual planet, the movie can be compared with Rich vs Poor in current world. Lack of self respect, hatred, racism, cruelty, corruption is making humanitarian as devilish animal. The screenplay and story blended in a fine shape to make more interest to viewers. There are some questions which makes the audience baffled like what happens to Rest Out of world apart from Los Angeles etc. Yes as a movie freak we can neglect those baffled questions and make to sense the engrossing Action/ and Thriller of Sci-Fi Elysium to make ourselves happy and satisfied in the Elysium called as Movie Theaters.